A harp brings a magical fairytale touch to your real life events. With over 18 years of professional onstage experience Catherine has also played many weddings, vow renewals, parties, and select special events! She can create custom harp arrangements to fit your style and your musical needs. #1 - 15 minutes of pre-wedding music as guests are arriving. #3- Travel and Gas expenses Included - Will travel up to 1 hour outside of Branson. #4- Musical consultation - we can meet for lunch or talk over the phone. I can suggest songs to use or I can learn new songs to fit your style and musical needs! #6 - 2 tickets to the Haygood show to be used within a year of wedding date. 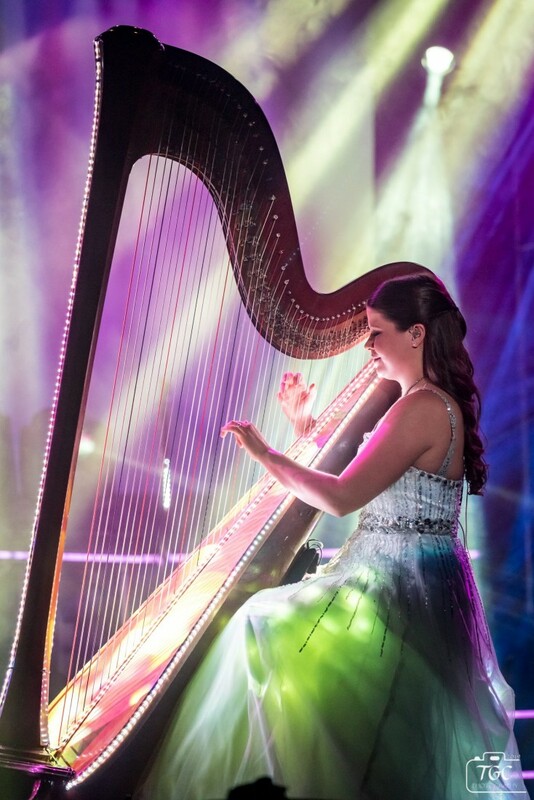 With 18 years of professional live onstage experience, I have played hundreds of songs in various styles on the harp. Music truly is my passion and life long love and I am excited to bring everything I have to offer to your event! I can suggest songs to use or learn new ones to fit your style and ceremony. I can't wait to play for your special day! 1-2 people to help unload and load harp.